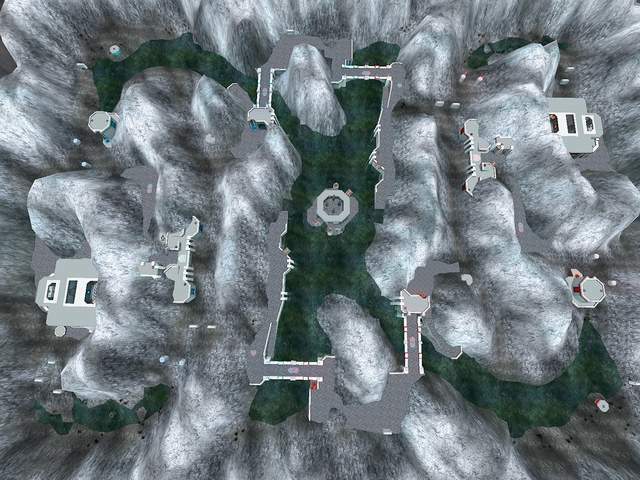 On the Quake3World forums, a user named White Zone posted an overhead map of the Quake III: Team Arena mpterra2 map in this thread. I took the liberty of mirroring the image here, since I know how these things have a tendency to "disappear". Mpterra2 is the big snowy terrain map in Q3:TA. The overhead view will definitely help you figure out what's going on.